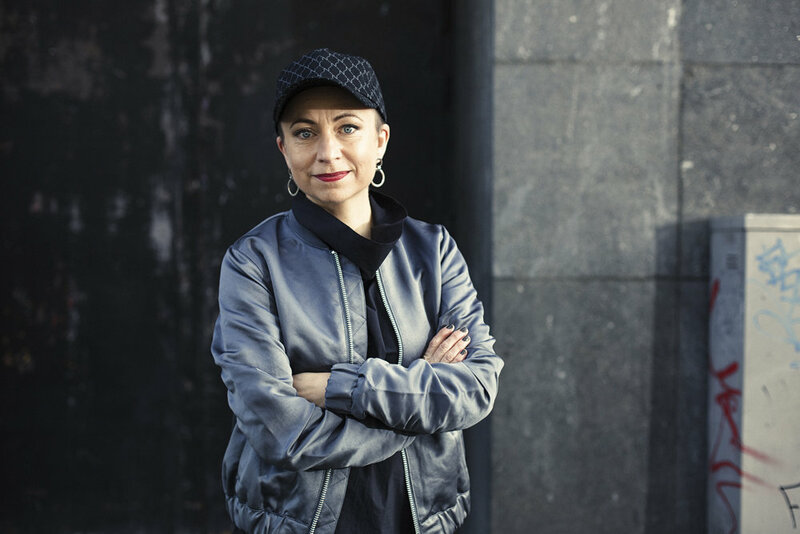 Marika Hedemyr is a Swedish artist working across choreography and public art, exploring the emotional and political relations between people and places. Her work is known for twisting reality into precise and humorous everyday situations with strong physicality. Her current focus is to create performative art in public spaces and thereby raising issues on access, democracy and the use of urban city centres. Since the 90s she has consistently created works ranging from small intimate performances to large-scale productions, in art- and theatre venues and public spaces. 2000 – 2014 she was artistic director and choreographer of the dance theatre company Crowd Company. Through her interest in critically reflective dialogues Hedemyr has regularly been engaged as speaker and writer. 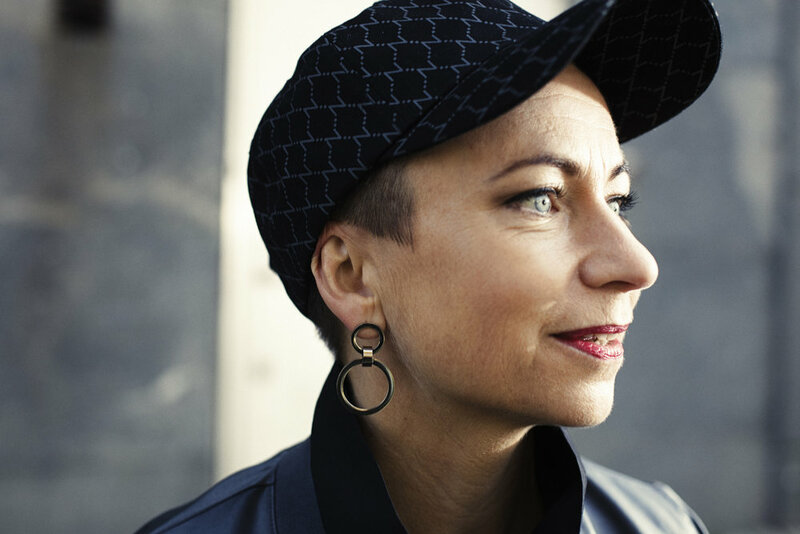 She is also co-founder of Dansbyrån, a Swedish artist-run platform for theory, practice and choreographic development 2001 – 2016. Her works have been presented at amongst others Dansens Hus Stockholm, Röda Sten Konsthall, The Swedish Dance Biennale, GIBCA – Gothenburg International Biennale for Contemporary Art, Bibliotheca Alexandrina Egypt, Rawabet Theatre Kairo, Yokohama Dance Collection Japan, and numerous public places in Sweden and abroad. Currently Hedemyr develops The Event Series – a long-term public art project exploring Gothenburg’s Event District, and Next To You – a site specific mixed reality-walk about co-existence in a shared public space, in co-production with Gothenburg Dance and Theatre Festival and RISE Interactive. In 2016 Hedemyr co-edited the publication Dansbaren—The Mob without Flash published by Dansbyrån, a printed object consisting of a book dedicated to critical thinking in the field of choreography and self-organisation, and a tablecloth of topics for new dialogues. She has an MA in dance from Laban Centre London (1999), and an MFA in Contemporary Performative Art (2014) with focus on Works for Public Space from Gothenburg University - The Faculty of Fine, Applied and Performing Arts. Since 2017 Hedemyr is enrolled for a PhD in Interaction Design at the School of Arts and Culture (K3) at Malmö University, Sweden. At the core of my craft is an interdisciplinary choreographic practice which has its roots in German tanztheater, English physical theatre, and Brazilian carnival culture. I explore the relation between people and places, and my works operate in a multimodal context of public-, performing- and site specific art. In my perspective choreography is the art of distributing bodies, their relations, and actions in space. Each position that a specific physical body is allocated holds specific degrees of normativity, qualities of power and resources, scales of space for action and movement. Choosing to place my work in public space is my current statement. I consider this context to be the point at which art, philosophy and politics can meet in one action. My focus is on a specific location and to connect it to specific bodies - present or absent -, materials, and nuances of ethics. I unpack the place and situation, and with the site-specific work created, I give back information about the place by highlighting previously hidden, invisible, or concealed aspects. I superimpose reality upon reality, making the invisible visible, and include the polyphony of voices, stories and perspectives of location. I’m working with the complexity of its situation. Not against it. At the same time, I keep an artistic autonomy for the works, the practice, and me. Dialogism, carnivalesque, feminist strategies, criticality, physicality, poetic language, and humour are strategies that I evoke in order to communicate the not yet articulated. I apply an embodied labour of attentiveness, a visceral somatic listening and crafting of affective effects and resonance, frictions and interaction. My ambitions are: to create an inroad to empathy, agency, and reflection; and to open up to renewed perspectives on the relation between individual bodies and the body of society. For collaborations in theatre and opera: In opera and theatre plays I join the team as choreographer. At times a I work as director. My approach is to work close together with the team and ensemble to develop the characters' unique body language and the play’s non-verbal narrative of place and identity. I choreograph situations, energies and actions, and some times movements. I treat the theatre space as a shared space, crafting the resonance of the actors’ bodily actions, and it’s reverberations in the audience and in the room. 2016, 2014, 2011, 2008, 2007, 2004: Marika has received yearly working grants from The Swedish Arts Grants Committee for her artistic work. 2013: The Swedish Theatre Critics Award “The performance of the year 2013” for the production Alexander och Påfågeln, Masthuggsteatern. 2009: Marika Hedemyr’s work Just In Time was selected for the final in the international choreography competition of Yokohama Dance Collection R in Japan. 2002: Gothenburg City Cultural Award, for “appreciated achievements for the city’s cultural life”. 2001: Västra Götaland Cultural Award, for “being an exceptional multi talented and complete dance artist who combines theory and practice in a constructive and professional manner”. 1999: The 1999 CORD Award for Graduate Research. Granted by CORD (Congress on Research in Dance), Pomona College, California, USA.